Apple’s special event was held today at the new Steve Jobs Theater. Like every year, Apple was introducing its new products to the public, including new iWatch, Apple TV and the long-waited three new models of iPhone. Next, we’re going to get into details with these items. First, the place where it was held got a lot of attention – the fresh auditorium at Apple’s headquarters called Steve Jobs Theater. It has a thousand of luxurious leather seats with the cost of over $14000 per piece. Of course, including lots of state of the art technological solutions. The show started with Apple’s leader Tim Cook on the stage praising Steve Jobs and his legacy that was left after the company founder passed away in October 2011. Next, he got down to business. The first presentation is about Apple’s latest iWatch 3. The sales of this watch are supposed to have 50% increase compared to the previous year (2016). Cook claims Apple iWatch to be the leading watch brand followed by others such as Rolex, Fossil, Omega and Cartier. Main features of the item are related to sports activity and health. It stores data about the user to help with activities and health in general. Jeff Williams who also belongs to the management of Apple, describes all the updates for iWatch 3. A technical breakthrough is how the watch observes the heart work even better and notifies of possible disorders. The screen works as an antenna and receives the network signal. The new 2-core processor makes it 70% faster. Despite all the new features, the size of iWatch 3 remains the same. 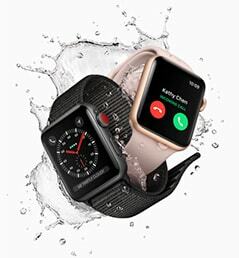 Apple iWatch Series 3 will be available on sale on 22nd of September, supporting cellular connection in 9 countries and without cellular in 26 countries. The price of iWatch 2 in USA will now be starting from $249, the new model starting from $399 for cellular version and $329 without cellular. The new media player for Apple TV supports 4K now and also HDR technology (HDR10 and Dolby Vision). The A10X chip gives this device four times more graphic power than before. The media player will include lots of streaming services like Amazon and Netflix. Apple got its wish by getting 4K movies onto Apple TV with the price of HD ones. This was actually a great success made by Apple as the entertainment industry was going to charge more for 4K. Apple TV 4K will be available on 22nd of September just like the Apple iWatch and the price in USA will be $179. Of course, the new iPhone is the highlight of this event. Tim Cook goes briefly through the history of iPhone (as it is iPhone’s 10th anniversary), and starts to introduce the next model. While the design of iPhone 8 doesn’t differ much from previous model 7, it’s made of durable glass instead of metal. It’s water and dust resistant, has 25% louder speakers than iPhone 7. A11 Bionic chip has 6 cores and 70% faster than the previous A10. Graphics should be 30% more powerful. The system is optimized to use AR (augmented reality). Camera features get a lot of attention. New processor for camera signals, faster focusing, low-light improvements, noise reduction and better pixel processor are a few things to mention. The iPhone 8 has 12-megapixel camera, 8 Plus has the same with double sensors, also optical stabilizer. Taking portrait shots has special lightning features. 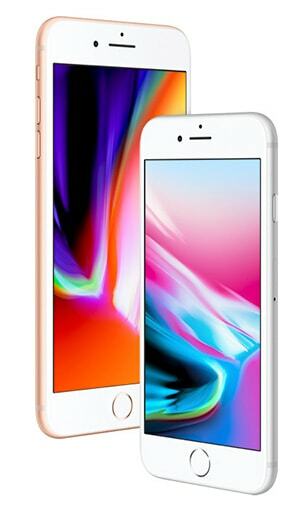 IPhone 8 and 8 Plus are first phones to offer high definition video recording with 240 fps. The new phones will have wireless charging. This is probably one of the reasons for glass body instead of metal. The prices in USA start from $699 and $799, having storage space options of 64GB to 256GB. They will be available on 15th of September, iOS 11 will follow four days later. And now, ladies and gentlemen: the best iPhone ever made so far! 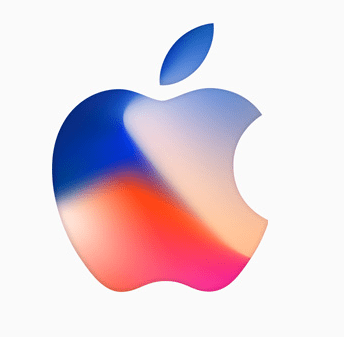 Meet iPhone X – the special edition for Apple iPhone’s 10th anniversary. X has double camera (12-megapixel sensors, f/1.8 and f/2.4), screen going from side to side without home button. Flashlight uses four LED-lamps (not just two), new technology lets 36% more light in than iPhone 8. Front camera allows also to take portrait photos. It supports 1125 x 2046 pixels, which means 455 pixels per inch. The screen is a 5.8-inch OLED. They call it Super Retina screen which supports HDR technology (Dolby vision, HDR10) and True Tone. You can open up the phone by tapping the screen, or just raising the phone to your face – it will open up. Swiping from the down side upwards takes user to home screen, this is also used to switch between apps and to kill apps. 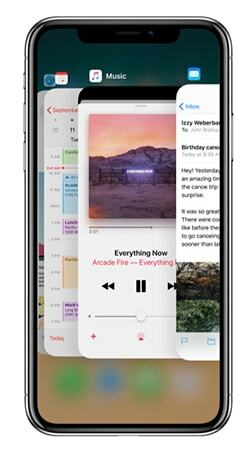 The body of iPhone X is made of glass and stainless steel. It is water and dust resistant. Face ID which has replaced the Touch ID from previous models. It can recognize your face even in dark and is claimed to be 20 times more secure than Touch ID. They are introducing animated emoji-s, called animoji-s (similar to Snapchat) which are already integrated into iMessage app and are used by the Face ID technology. Users can also use Apple Pay with Face ID. The battery life is better and lasts 2 hours longer than iPhone 7 thanks to its optimized software. It also has wireless charging (with Qi) like iPhone 8 and 8 Plus. iPhone X is available from 3rd of November, prices in USA start from $999. Next year Apple will release AirPower, a device meant to charge your Apple devices wirelessly all at once.